About Marc J. Rothenberg, ESQ. 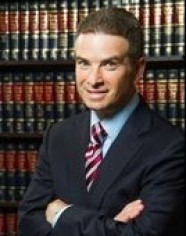 Marc J. Rothenberg, Esq., litigates significant personal injury & wrongful death cases on behalf of injured plaintiffs in New York, New Jersey, and Pennsylvania - including, but not limited to, Truck, Car, Bus & Motorcycle Accidents, SUV Rollovers, Automobile Products Liability, Construction Accidents, Premises Liability and Traumatic Brain Injury cases. Partner - The Rothenberg Law Firm 1997 - Present. Top 100 Trial Lawyers - The National Trial Lawyers 2016. Nation's Top One Percent - National Association of Distinguished Counsel 2015. Top 100 Trial Lawyers - The National Trial Lawyers 2015. Recognition - New York Super Lawyers 2015. Top Attorneys In The New York Metro Area - The New York Times	2014. NY's Top 30 Verdicts & Settlements in 2013 - New York Magazine	2014. Top 100 Trial Lawyers - The National Trial Lawyers 2014. Recognition - New York Super Lawyers 2014. Top 100 Trial Lawyers - The National Trial Lawyers 2013. 3rd Highest NY State Personal Injury Settlement - New York Law Journal 2013. Recognition - New York Super Lawyers 2013. Top 100 Trial Lawyers - The National Trial Lawyers 2012. New York Rising Stars - Super Lawyers 2011. Member - Million Dollar Advocates Forum 2010. Member - Multi-Million Dollar Advocates Forum 2010.